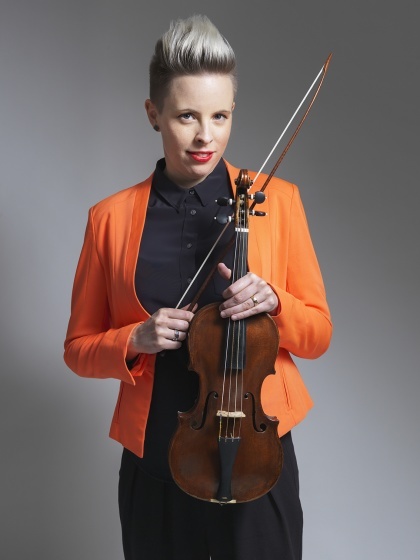 Violinist Jeanette Eriksson performs in Sweden and Europe as a soloist and in a number of ensembles. As a soloist in baroque and folk music, she has conceptualized and developed productions that present repertoire which is not widely known. In the field of folk music, Jeanette holds a particular passion for music from Scania (Skåne), and this was the reason for her receiving the title ”riksspelman” (master musician in Swedish traditional music) in 2002. Her debut album Låtar på skånska was released in 2007. In recent years, Jeanette has recorded a number of albums; Jean and the Mean machine (Jean and Jo Music and Arts 2014), En resa på två fioler (Jean and Jo Music and Arts 2015), Nybyggnan (BIS 2016) and The Nordic Baroque Band (Ictus 2017). Jeanette has a Master degree from The Academy of Fine and Performing Arts in Gothenburg and has studied with Oliver Webber in London and Basel.